After watching their own kids play, David Horvath and Sun Min (Award Winning Designers of Uglydoll) began a discussion with Klim Kozinevich (Creative Director of Bigshot Toyworks) and wondered; what if there was more? The worlds of princesses and pixies, fashion models and super heroes are all fantastic, but something was missing. The trio set out to create a unique personality in a small plastic body, focusing on aspirational, inspirational and imaginative play. Something that would encourage kids around the world to embrace what makes them who and what they are, inside and out. With all that in mind, Yuna was born! Yuna is the very first doll in an all new line called Dream BIG Friends. 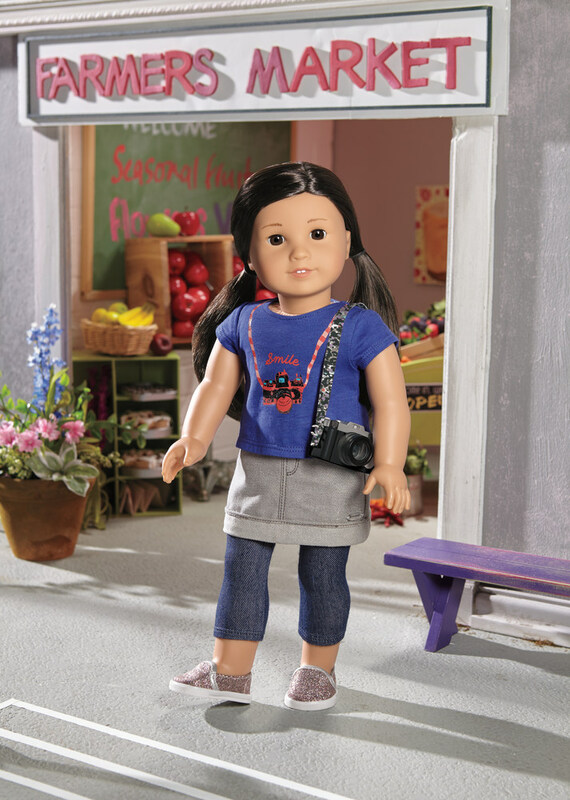 She’s also the first Asian American girl to be the center of a doll line! She loves science, travel, rockets, art, design, and Korean food. Her BIG dream is to run a company designing rockets that will one day take her to Mars. She’ll be the first one to stand on the planet’s surface, naturally. With your help, she’s sure to get there. Today heralds the launch of a Kickstarter campaign for Dream BIG Friends, where you can invite Yuna and her cat Kamata into your home. There have been many discussions about body types and unrealistic proportions and attitudes imposed through children’s toys these days. David, Sun Min and Klim wanted their first doll, and all of her friends, to feel like very real characters, complete with rich backgrounds and boundless potential… Avatars for your imagination. Made with high quality materials and built to last, our BIG Dream is that one day far from now, your kids will share Yuna with their kids. German premium toy-makers Steiff are launching a limited edition stuffed Pikachu doll that measures at 11 inches tall and is made with the finest natural mohair for an added luxe touch. The adorably plush Pokémon will be priced at $340 USD with a limited Japan-only release of only 1000 units. Preorders are available via GoodSmile right now, with a February shipping date. A long, long time ago, in a country far, far away, Yoshitoku Taiko made its first doll. Founded in 1711, the company’s history goes back to a time when Japan was ruled by a shogun, and the country sealed off from the rest of the world. More than three centuries later, Yoshitoku Taiko is still in business, but Japan is now part of the global community. That’s why the company’s latest offerings are two exquisitely crafted dolls of Darth Vader in samurai armor. In Japan, it’s customary to celebrate May 5, known as either Boys’ Day or Children’s Day, by decorating the home with a doll dressed in a suit of armor. Known as gogatsu ningyo, or “May dolls,” the figures are supposed to represent parents’ desires that their sons grow up to be strong and wise, like the samurai warriors they’re modeled after. ▼ Simpler displays feature just the helmet. Speaking of samurai, it’s been said that Japanese armor was a major inspiration for the iconic design of Star Wars’ Darth Vader. There are definitely similarities, such as the way Lord Vader’s helmet covers the back of the neck, or the face plate he wears that resembles those samurai often went into battle equipped with. So, seeing as how there’s a new Star Wars movie coming out in December, Yoshitoku Taiko decided to make an addition to their traditional line of May dolls fashioned after historical figures such as Date Masamune, Uesugi Kenshin, and Sanada Yukimura, with these Darth Vader gogatsu ningyo. Or, if the whole suit of armor is a bit much, you could opt for this Vader helmet set. There’s also Yoshitoku Taiko’s Darth Vader bushi ningyo, or warrior doll, which forgoes the volcanic backdrop. ▼ And yes, of course the katana scabbard is red. While the noble Jedi knights might seem like more appropriate symbols for the virtues of bushido, they don’t wear armor. So Yoshitoku Taiko’s other Star Wars creation doesn’t draw from Luke or Obi-Wan, but the Imperial Stormtroopers. All of these items are currently sold out, despite prices ranging from 140,400 yen (US$1,180) for the Darth Vader bushi ningyo all the way up to 356,400 yen for the full gogatsu ningyo Vader set. But hey, as any collector will tell you, high-grade Star Wars figurines don’t come cheap, and if and when Yoshitoku Taiko does restock the items on its website, you can be sure they’ll be selling out quickly once again. Japanese streetwear imprint BAPE joins forces with German toy manufacturer Steiff for a special edition teddy bear. A perfect gift for mini hypebeasts, the collaborative teddy bear adorns a white graphic Ape Head tee with dual branding at the front and an intricate tag along the sleeve, in addition to a pair of indigo jeans to complete the look. The BAPE x Steiff Teddy Bear will be available for purchase exclusively at the Isetan flagship store in Shinjuku starting March 4. Meet Mutya, the new Filipina Barbie Doll! I know what you’re thinking. Barbie may not be the best role model for children (especially with all the unrealistic body standards), but we’ve got to hand it to Mattel, they’ve definitely put in effort to try and be inclusive. 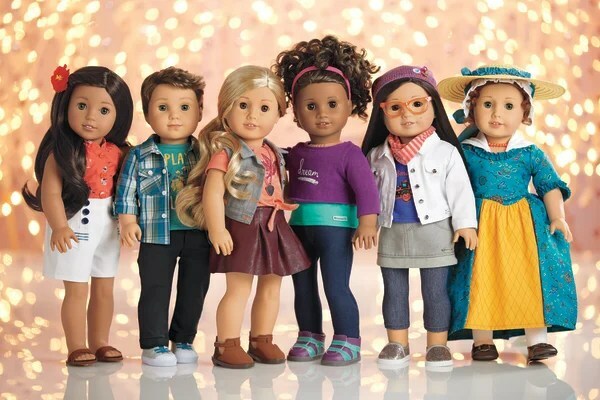 In 2014, American Girl discontinued their one and only Asian American doll and we were devastated. 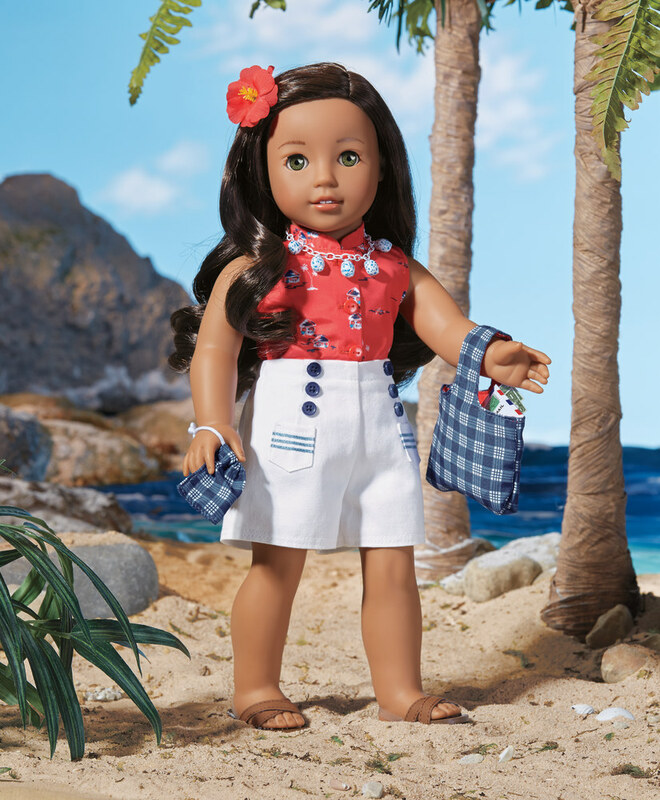 After all, it’s not often that our little ones get the opportunity to see their culture and experiences reflected in something as mainstream as an American Girl doll. This is why we were three times happier when, while looking for an alternative Asian doll, we discovered that Barbie has been creating ethnically diverse Barbie dolls for years. Most recently, a Filipina Barbie doll named Mutya Barbie has been added to the roster. Mutya is the third face in the Global Glamour™ Collection which also features Tribal Beauty Barbie and Venetian Muse Barbie. Mutya Barbie was designed by Carlyle Nuera as his debut doll for The Barbie™ Collection. Needless to say, he made sure every single detail was given proper attention. It seems every aspect of the dress pays homage to Filipino culture. Not only did he choose to dress Mutya in a terno, a traditional Filipino dress worn on special occasions by women in the early 1900’s, but even the details of the dress try to capture the many aspects of Filipino culture and fashion. “Mutya” means pearl or beauty or muse; it’s a girl’s name, and is also used in the titles of beauty pageants in the Philippines. Mutya™ Barbie® will have the Kira face sculpt; I know a lot of collectors have a lot of love and nostalgia for that face sculpt, as do I, since that was a face sculpt I grew up with! Her organza overdress is a take on the terno, with the unmistakeable butterfly sleeves. The organza’s print references textiles of the different tribes in the Philippines, as well as the sun from the flag. The embroidery on the hem is inspired by the sampaguita, a jasmine flower that is the national flower of the Philippines. The details of Mutya Barbie’s jewelry refer back to tambourine jewelry as well. If you’re looking to get Mutya on your shelf, you may have to move quickly. Mutya Barbie has a limited release of only 4,400 dolls and we have a feeling she’ll be sold out pretty quick. Little, fat, round, lucky – Daruma dolls are an instantly recognizable Japanese trinket that also serve as a source of inspiration, encouraging people to achieve their goals. Daruma dolls usually come with two blank white eyes. You paint on one eye as you set yourself an objective (pass an exam, get a promotion, etc) and then paint on the second eye once you achieve your goal. As such, Daruma are a popular gift given to students cramming for exam season. But wouldn’t it be amazing if you could buy a Daruma doll crafted in the likeness of your own ugly face? Well, now you can, and what’s more – they’re three dimensional! Company MaaYu will craft one of these personalised 3-D dolls for you if you send them a photograph of your face (or the face of a parent, friend, etc). The results are actually pretty realistic, if not a little bit scary and creepy! We can imagine “tiger moms” giving their harried exam-cramming children a little extra study incentive with the gift of a disapproving Daruma crafted in their own likeness. But there are plenty of other uses for a 3-D Daruma doll with a human face. You could print up a tiny, tubby replica of your crush to inspire you in your daily life. Or you could print a pair of tiny tubby dolls featuring the faces of both you and your crush, and then make them fall in love with each other! ▼ If you find yourself going this far, it’s probably better to just let them know how you feel. If you’d like to buy your own Daruma mini-me, you can order them from MaaYu’s website for 4,800 yen (US$40). They’re about 7.5 cm tall, and it’ll take about a week for them to create your Daruma for you using your photo as a reference. Incidentally, the company also creates creepy hyper-realistic masks for some reason. Personally, we think that real Darumas have faces that are a lot cuter than a mutant 3-D version of our own, so we’ll be sticking with the classic dolls for the time being.